By law, every member of the nursing staff at Illinois nursing facilities is required to report any allegation or witness of abuse occurring in the home immediately. These laws help protect the victim to ensure they are not repeatedly assaulted physically, mentally, verbally or sexually. Unfortunately, not all nursing homes train their employees to follow these procedures and protocols, which is often detrimental to the health and well-being of the patient. Rosenfeld Injury Lawyers LLC provide representation to abused patients residing at Illinois nursing facilities including Kewanee Care Home. As a part of the Peterson Health Care System, Kewanee Care Center offers nursing care, memory care, Alzheimer’s/dementia care and the Peterson’s Pathways Rehabilitation program. To ensure families are fully informed of the level of health and hygiene care every nursing home provides, the federal government and the state of Illinois routinely update their nursing home database system. This information reflects a complete list of opened investigations, safety concerns, filed complaints and health violations that can be found on numerous websites including Medicare.gov. The deficient practice was first noted in state findings after the investigator reviewed the resident’s staff communication document (SBAR) revealing that the resident “was found on the floor [of their room] at 7:45 PM” on 10/08/2015. Again on 09/17/2015, documents at the facility revealed that the resident “was found on the floor at 6:30 AM at the foot of the bed, leaning on [their] wheelchair in [their] room. 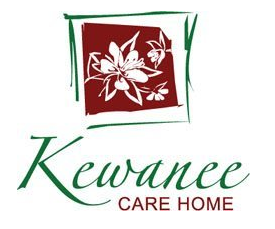 If your loved one was injured or harmed while a patient at Kewanee Care Home, contact Rosenfeld Injury Lawyers LLC. Our dedicated Kewanee knowledgeable attorneys represent clients with victim cases that involve abuse, neglect, and mistreatment. Our lawyers can help your family successfully resolve your financial recompense case against all those who caused your loved one injury. Schedule your free, comprehensive case review today by calling our Henry County elder abuse law offices at 888 424-5757. No upfront retainers or fees are required because we accept every wrongful death lawsuit, personal injury case and nursing home abuse/neglect claim for compensation on contingency.